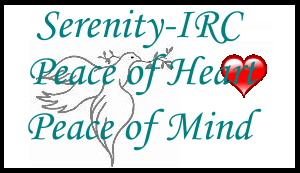 Come and join our Serenity-IRC family. Serenity-IRC was founded by a collection of dedicated IRC fans that wished to set up a network with priorities that seemed to be lacking in the market. The hopes of having a reliable set of IRC servers operated in a courteous manner with experienced, amiable staff that could hold together a friendly atmosphere and provide easily accessible assistance became reality in late 2003. This determination results now in a growing network that is already in the top 28% of all IRC Networks and attracts new users monthly. We thank those that already consider Serenity-IRC as their 'home' and who are spreading the word so that others may share the experience! 'discover the difference'. Curious about channels and groups that we have on Serenity-IRC? Peruse through our Channels List feature to find something to your liking. Whether you search for assorted RPG rooms, internet radio station channels or top notch trivia and games, we have them! Also our Kline team has its own space to help those who are having trouble connecting to the network. Our fully-featured help files on the Services that we provide will improve your experience using Serenity-IRC and can aid you with managing your channel. So take some time to have a wander around our website, and come and join us on Serenity-IRC 'Now celebrating our Fifth year!!'. Serenity-IRC is an Internet Relay Chat (IRC) network created to provide a safe chat environment with responsive IRC Operators. We prohibit the illegal trade of software and pornographic files on the network, and reserves the right to scan all connecting clients for open SOCKS and/or Wingates. Serenity-IRC is a private, moderated network, in that we reserve all rights to deny access to this server to any user, host or domain without warning or explanation. There are no fees required to use any server linked to Serenity-IRC, or to register nicknames and/or channels. In return for the provision of free network access and services, we expect user to comply with the terms listed in this AUP. If you are not in agreement with our policies, disconnect now. Please ensure you have read and understood the full Acceptable Usage Policy of the Serenity-IRC before connecting to the network.